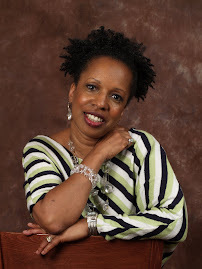 In April I shared about my journey toward publication. I will reiterate something I said then, "God never gives you a purpose that you lack passion for." The passion that burned in me pushed and pushed and pushed like a baby seeking to exit the birth canal. Prior to the birth of Business Unusual my temperament was akin to that of an expectant mother protecting her unborn fetus. No matter how often it was suggested that we abort we persevered. The choices we made to bring the baby to full term did not always meet the approval of those dispensing advice. They were however, the best for us given what was at our disposal. We believed that God would provide for the vision He placed inside of me. That said; I am proud to announce that Business Unusual, our tangible proof of our faith, made its way into the world on June 25th. Bernadette Lewis is a woman no one will ever define as usual. Known purpose set her on the path to fulfilling destiny at a young age. The light that illuminates her every step comes from within. Without apology she walks with confidence and humility. Fully satisfied with life, there is no room for distractions. She seems to have it all, but she is a living example of the adage, ‘all that glitters is not gold’. On a personal front Bernadette is faced with dealing with the type of man her father warned that she would one day meet. Hayes Davis is that man. Learned accomplished and walking confidently in who he is, Hayes is the man at the top of most women’s resume for a husband. In spite of his glowing outer appeal, it is his inner man that must withstand the challenges that will be key to his pre-ordained walk. The decision as to what she must do regarding the insubordination of a key employee, Falimah Meyer, causes Bernadette to revisit the vision of her company and her fourteen-year-old pledge. As she seeks to move forth she must exercise caution as she interacts with another employee, Treva Scott. Treva is often on the short end of Falimah’s unpredictable personality swings. As she searches for her true niche in the world, her option of choice places her at the crossroads of her future. Added to the whirlwind of change for Bernadette is the forced re-acquaintance with her maternal grandmother. She is a woman loved by the world but ritually despised by Bernadette. Business Unusual invites the reader to walk with its characters as they process through life. Within that process the characters will touch and be touched by friends, family and those they meet along the way. 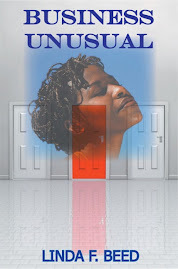 Business Unusual -- A story about forgiveness, obedience and the option of choice. As always I leave you with this -- There is no such thing as an acceptable loss in God's Kingdom! This Business Unusual sounds unusual. I'm ordering a copy today. I'll let you know what I think.